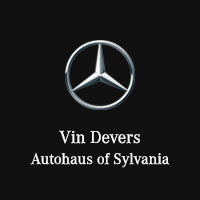 Why order parts from Vin Devers Autohaus of Sylvania? When you order parts from us, you will experience the #DeversDifference. Since we opened our doors in 1956 as a family owned business, Vin Devers Autohaus in Sylvania, OH has maintained a unique reputation thanks to our focus on providing customers with the best car buying experience, but the Devers Difference goes beyond the sale. We make every effort to deliver the experience after purchase by treating our customers they way we want to be treated, like family. We have over 50 years experience with Mercedes and technicians that have been with us for over 30 years. We offer genuine Mercedes-Benz parts, Certified Mercedes-Benz Technicians and of course our #DeversDifference.